What makes Armenta rings different? Top three styles of Armenta Rings. Armenta rings stand out from the rest. These dark and charming pieces are anything but typical. Look at them long enough, and you will become completely mesmerized! 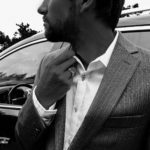 It’s easy to see that Armenta jewelry is not part of the mainstream, when it comes to the luxury jewelry industry. This particular brand offers wearable art with a fringe element. Armenta rings have a particularly unique type of charm. These ornate rings have a deeper meaning that goes beyond beauty and value. Each one of these Armenta rings is designed around a profound idea, and every piece tells an important story. The chief designer, Emily Armenta, is an avid reader of old literature and poetry. She finds inspiration in writings by explorers and adventure seekers from the olden days. There is a lot of symbolism put into the details of Armenta rings. For example, you will see shapes and designs that resemble shields and scrolls. You will see detailing often found in Baroque artworks and Renaissance-era architecture. 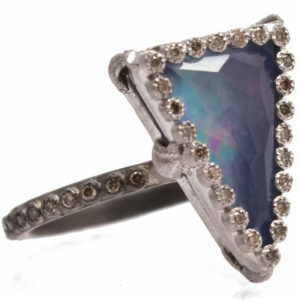 Armenta rings look just as fitting for an early 1800s queen, as they do for an art enthusiast or even a rock star. There are so many unforgettable pieces found in several collections. 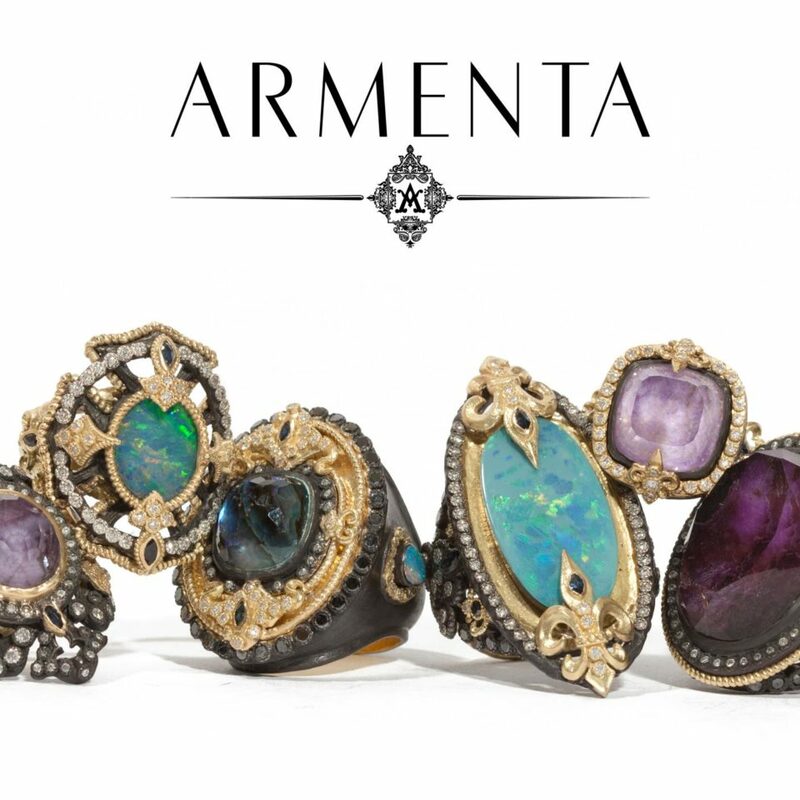 Armenta also offer a plethora of alluring bracelets, earrings, necklaces, and even a collection of Armenta for the guys! It’s a challenge to pick a few specifically to feature. Here are three examples of Armenta rings that are very different from each other. These three were chosen in hopes of representing the fullness of this brand. If you’re searching for something that is truly out-of-the-ordinary, then Armenta’s New World Petite Triangle Stack Ring is worth a look! With blue sapphire, mother-of-pearl, quartz triplet and champagne diamonds, this magical design will instantly draw you in. This whimsical piece is fit for a fairy! Pair it with your bohemian-inspired couture for the perfect accessory to vamp up your look. 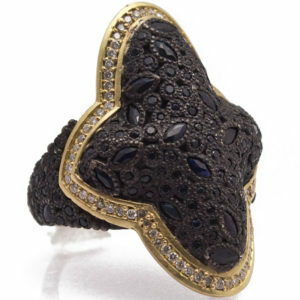 Armenta’s yellow gold and black Silver Star Saddle Ring is definitely edgy and tough- perfect for a woman who can hold her own, and isn’t afraid to show it! 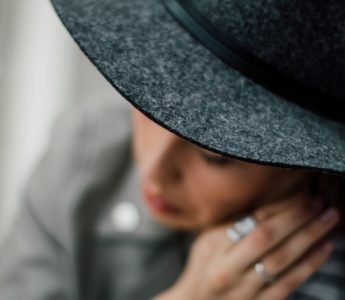 This saddle ring might say “cowgirl” or it might be more suited for a “biker babe” but no matter your style, this ring will make a huge statement. It’s a strong and majestic piece with black sapphires and diamonds to embellish its unique shape. The idea behind the Cravelli Diamond Stack Ring is to find beauty in flaws and show the value of imperfections. This ring is thin and feminine, yet the color and style is strong and superior. Designed to look like a crown, it plays with the contrast of dark and light metals. It is easy to identify the Baroque nature of this piece, which features oxidized authentic silver, shiny yellow gold, and striking diamonds. Stack rings are intended to go with other coordinating rings on the same finger, but they can also stand alone as a minimalistic accessory. The Armenta jewelry line has captured the world’s attention. It’s been featured in top fashion magazines, including the prestigious Harper’s Bazaar, Vogue, Marie Claire, Cosmopolitan, and many others. 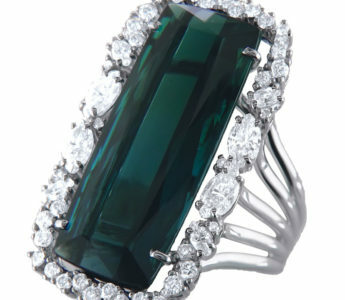 Hollywood’s most fashion-forward stars have enthusiastically embraced the brilliant assortment of Armenta rings. Whether you’re a rising star, an art lover, or a fan of literature and stories, Armenta Rings will speak volumes. These ancient-inspired styles and striking combinations are ideal for those who want to rock the world!